We are thrilled to have with us today, Joan Hochstetler, a multi-published author who is also the Publisher and Editorial Director of Sheaf House. An unforgettable story of forgiveness and reconciliation, One Holy Night retells the Christmas story in a strikingly original way—through the discovery of a baby abandoned in the manger of a church’s nativity scene. Destined to become a classic for all seasons, One Holy Night deals compassionately with the gritty issues of life—war and violence, devastating illness, intergenerational conflict, addictions, and broken relationships. This moving, inspirational story will warm readers’ hearts with hope and joy long after they finish reading. The old saying goes that the only sure things in life are death and taxes, and sometimes that feels all too true. It’s hard to hold onto faith when all around us we see wars, natural and man-made disasters, hardships, broken families, major illnesses, substance addictions, abuse of all kinds—and the list goes on. We all know families or individuals going through difficult times, and we’ve encountered our own personal times of brokenness as well. I certainly have. The truth is it’s hard not to become disillusioned and cynical when faced with these things. Over the years I’ve questioned how we can find purpose, strength, and healing when it feels like our world is out of control. One of the main ways I try to make sense of life is to write stories about it. That’s what led me to write my contemporary novel One Holy Night, which grew out of my wrestling with the kinds of gritty issues that impact our lives every day. At one point my character Julie asks: “Why don’t we have a God who always answers our prayers, especially if it concerns the welfare of someone we love, especially someone who also happens to be a believer?” That’s truly one of the hardest questions we have to deal with. If there is a God and He is good, why does He allow suffering? We tend to blame God for evil things that happen when, except for natural disasters that are a part of our world, these things are all caused by human beings, whether intentionally or not. Obviously God didn’t cause the suffering in these cases. People do things that hurt others and themselves. But time and again we see God repairing what people have destroyed. We pollute the earth and divert natural resources in ways that harm the environment, but God set in place natural processes that cleanse the earth and restore it to its natural state once pollution ceases. People do things that violate others and break relationships, but reconciliation and healing take place in situations where pride and anger and willfulness stand in the way. Against all odds, hearts change. That still leaves the question of why God allows suffering, however. Why did God give humans free will, which allows us to do evil things, when He could have made us to be good? The hard truth remains that we don’t know the answer because God doesn’t choose to reveal it to us—and our human minds couldn’t encompass it even if He did. So at the end of the day, the will and ways of the Creator remain inscrutable. We’re left with the choice to have faith, to trust the Giver of Life and His ability to use every circumstance for our good—or not. In Mark 4:35-41 Jesus’ disciples are out on the sea with Him. That alone should have given them supreme confidence when a raging storm threatened to swamp their small boat. After all, they had watched Jesus heal the lame, sick, blind, and deaf and even raise the dead. They had all the evidence they needed to be confident that Jesus was in control! But when the winds suddenly beat down on their boat, they did exactly what most of us do when a crisis threatens our well-ordered lives. They panicked! “Teacher, do you not care that we are perishing?” they demanded. So he raised his hand and said to the storm: “Peace, be still.” Instantly the gale dissipated and the waves became smooth as glass. An unearthly calm possessed the once troubled sea. When we face devastating situations, the cross is our assurance that Jesus has been where we are and that God sees our circumstances and is working on our behalf. The only one who can overcome the tribulation we experience is the One who set the universe in place and still holds it in His hand. J. M. Hochstetler writes stories that always involve some element of the past and of finding home. Born in central Indiana, the daughter of Mennonite farmers, she graduated from Indiana University with a degree in Germanic languages. She was an editor with Abingdon Press for twelve years and has published four novels. Daughter of Liberty (2004), Native Son (2005), and Wind of the Spirit (March 2009), the first three books of the critically acclaimed American Patriot Series, are set during the American Revolution. 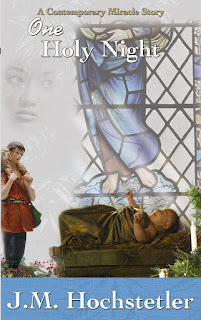 One Holy Night, a retelling of the Christmas story set in modern times, is the 2009 Christian Small Publishers Fiction Book of the Year and a finalist for the 2009 American Christian Fiction Writers Long Contemporary Book of the Year. 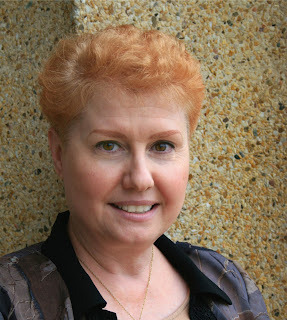 Hochstetler is a member of American Christian Fiction Writers, Advanced Writers and Speakers Association, Christian Authors Network, Middle Tennessee Christian Writers, Nashville Christian Writers Association, and Historical Novels Society. She and her husband live near Nashville, Tennessee. You can find Joan online at http://www.jmhochstetler.com/ or at this book’s blog http://oneholynight.blogspot.com/. One Holy Night is available at Amazon.com as a trade paperback or in a Kindle edition. You can also purchase it directly from Sheaf House or at Christianbook.com.